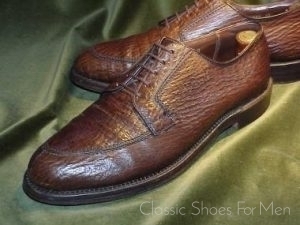 Apart from being one of the handsomest shoes to be seen, this masterpiece (and that is the only fitting word to describe it) is hand-lasted. 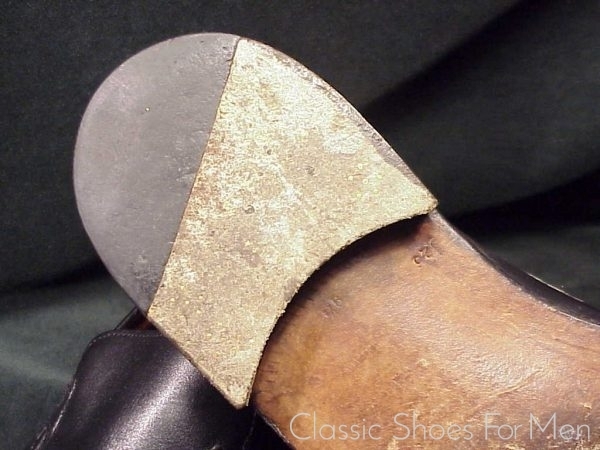 hand-sewn, hand-raised apron, channelled and skived (with hidden welt); this is true Norwegian (Goiser) construction and far superior to the Goodyear machine welt. Every care, from the hand-lasting to the final hand-finishing, has been taken in the making of this shoe. 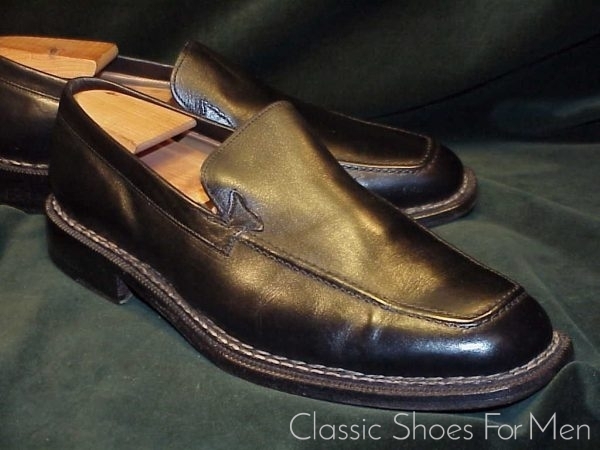 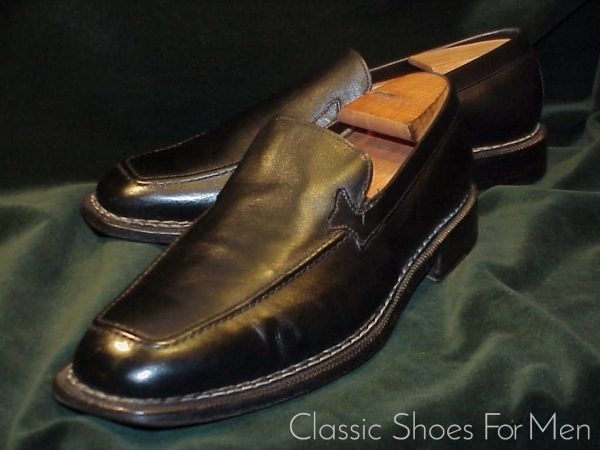 This is an extremely well made shoe, superior not only to all other Italian shoes but to any modern ready-made shoe from England or America as well; this means Edward Green, John Lobb, Church’s, Crockett or Alden. 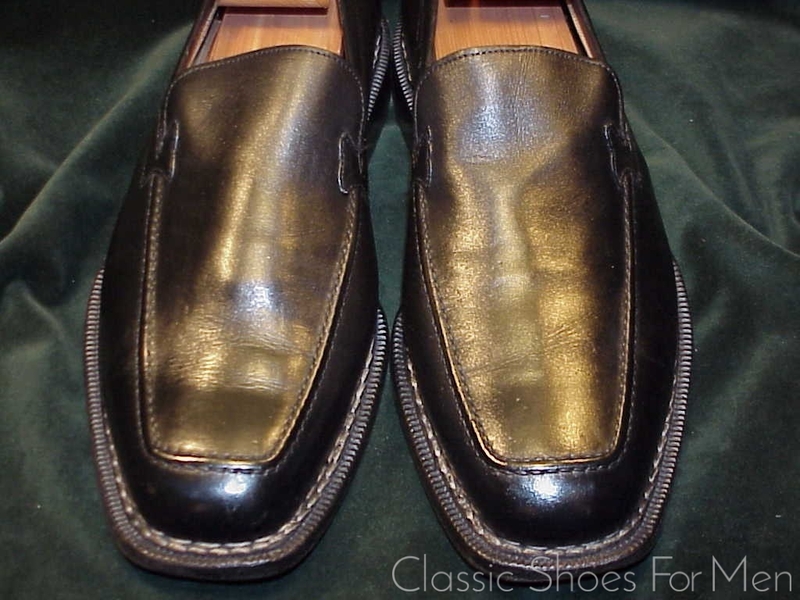 Nor is this shoe to be confused with Mantellassi’s offerings of Blake stitched shoes. 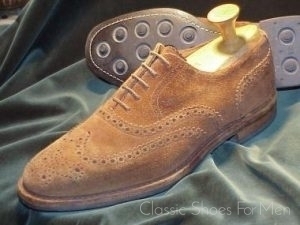 This masterpiece comes from their very best flagship line of shoes, available in very few shops and in very limited numbers. 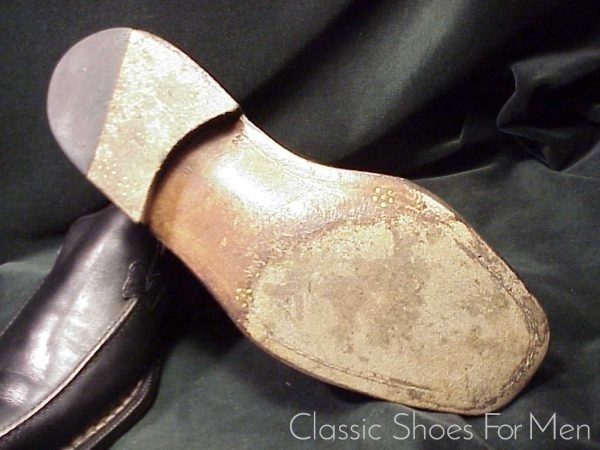 It sells for over Euro 1300. 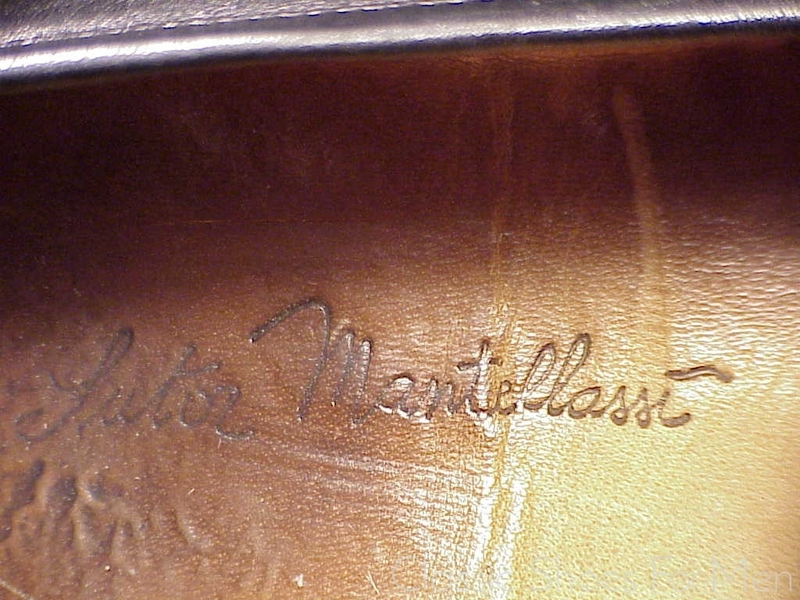 Each pair of these very few true hand-made Norwegians produced by Mantellassi is fully glove leather lined. 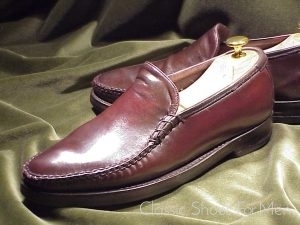 The term “Norwegian” is used promiscuously to refer to several styles of shoe, notably the “Split-Toe Norwegian” with its outward turned moccasin-like apron and joining at the toe, and among Italian shoemakers, of a variety styles with decorative double sewn welts. 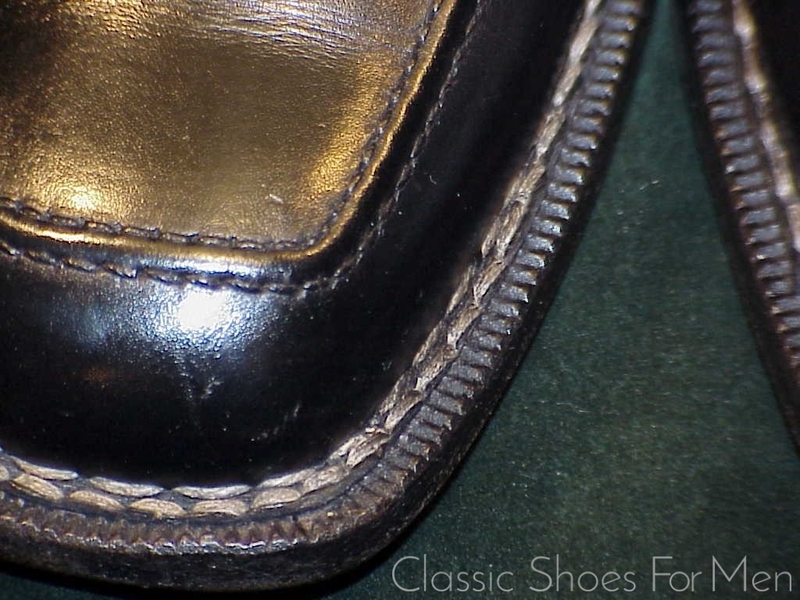 Unlike in the present shoe, the sewing is mostly non-functional and conceals construction even as rudimentary as Blake Stitching. Very few of those are the true complex Goiser/Norwegian construction, wherein both the split reverse welt and the top leather are turned outward and sewn to the street sole, as shown here.This is the most complex of all shoe construction techniques and very few such shoes are produced in the world. 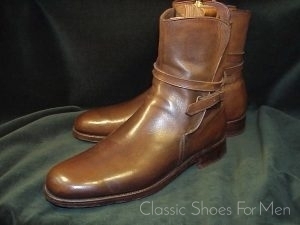 42.5D.....US 9.5D.....UK8.5E, for the medium width foot. 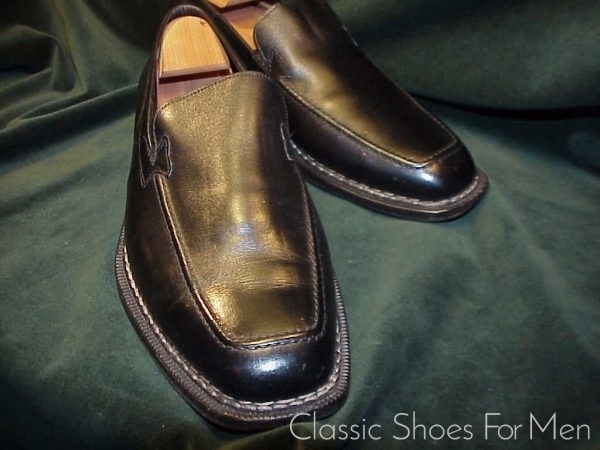 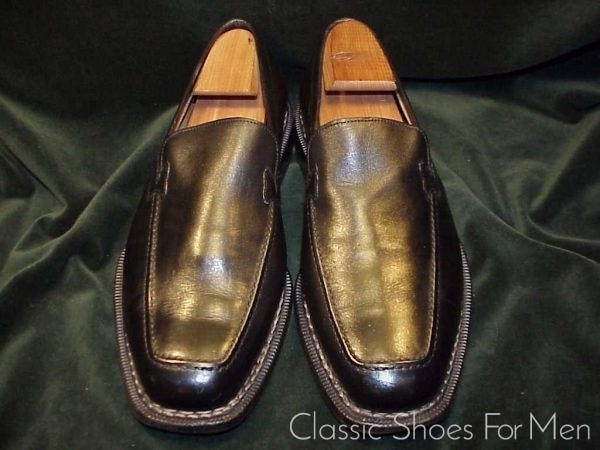 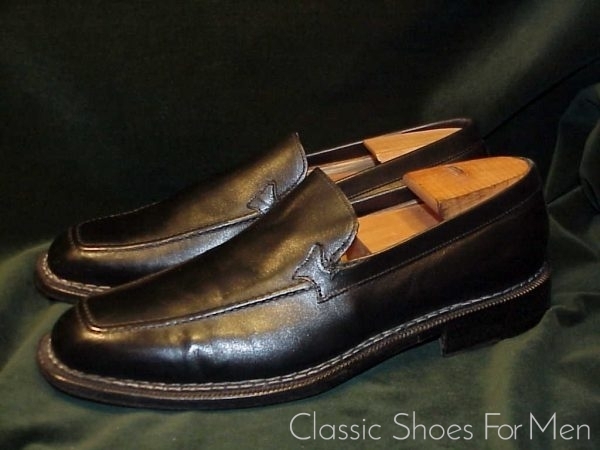 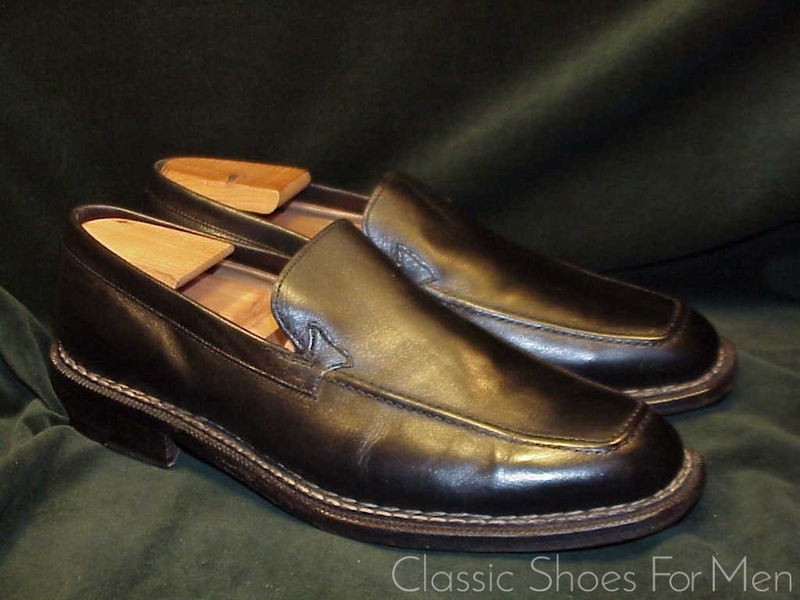 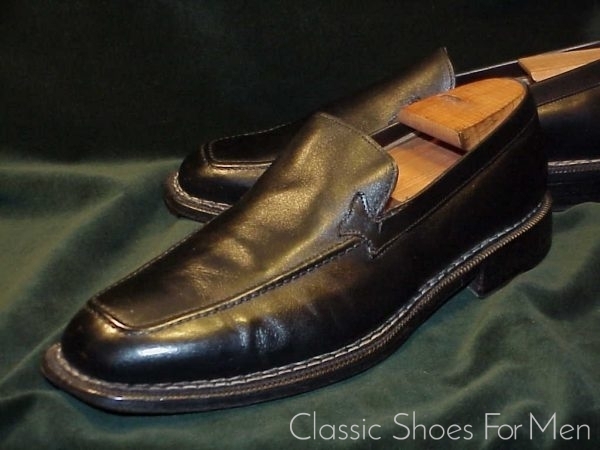 Even if you are wearing only a simple penny loafer, why not have it be one that is spectacular? 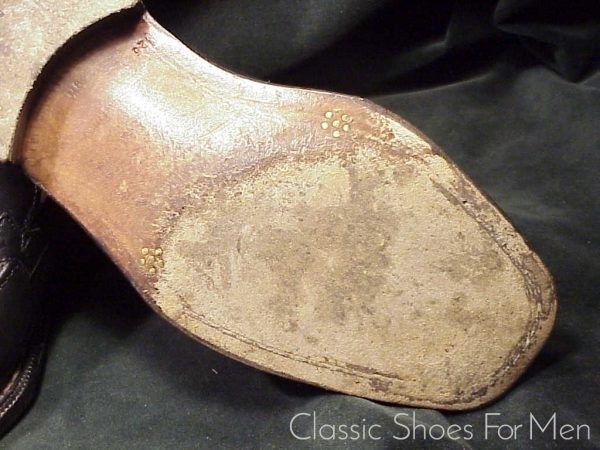 All original and showing only rubbing to the skiving of the sole. 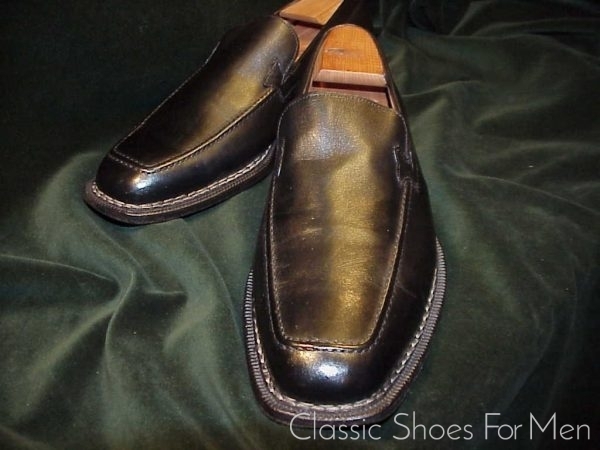 Sold without trees.